Last month, as part of a big batch of CD-ROMs I ordered from the terrific Wayne Bibbens, I came across a prototype of Subterraneans, an unfinished first-person shooter by direct-to-video shlock horror group Full Moon Features that seems at least loosely based on one of the studio’s unproduced movies. The Subterraneans disc – dated February 6, 1996 and labeled as a demo – also includes Origins of the Puppet Master, an unpublished digital comic based on Full Moon’s most successful franchise. This looks like the first time the game has ever surfaced, so let’s talk about it! 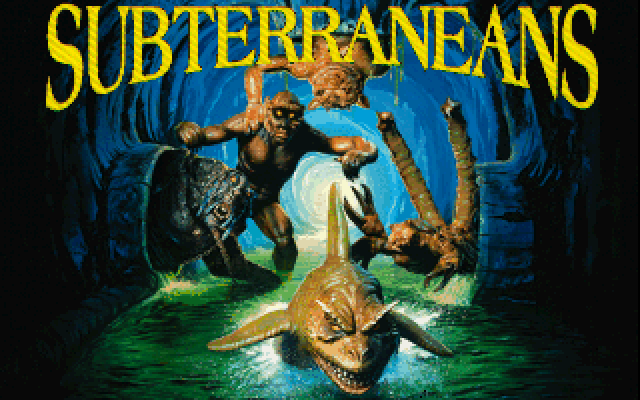 Subterraneans uses the 3D Game Creation System, an easy-to-use first-person shooter creation toolkit for hobbyists to make games in the vein of Wolfenstein 3D (the software was later renamed the Pie in the Sky engine and is probably better known by that title). Subterraneans is noticeably incomplete: it leans heavily on the default assets included with the software, crashes if music is enabled, has totally incoherent level design, and is missing about half its content. But it exists – however barely playable – in this demo form. In a way, Full Moon’s brand of low-budget horror and the Pie in the Sky engine are perfect matches: both deliver cheap thrills with low overhead. Origins of the Puppet Master is more cohesive though less interesting. 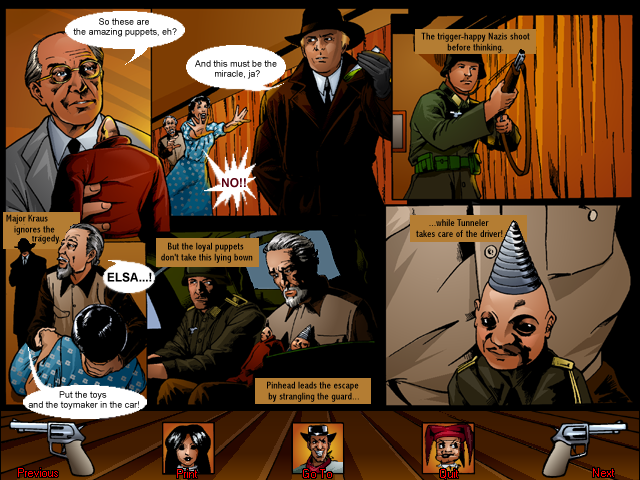 The comic retells the story of the film Puppet Master III: Toulon’s Revenge, incorporating live-action clips from the movie to supplement its three pages. Although far more polished-looking than Subterraneans, it still bears the signs of a work-in-progress, like its sluggishness, display compatibility issues, extremely short length, and some rough speech balloon graphics. It doesn’t offer much for non-fans beyond the odd use of live-action video, but the art might be worthwhile for Full Moon devotees who want to see another take on a famous property. When those were still in development, we got out of the CD Rom business. Only the big computer games were making money. So Subterraneans and Origins of the Puppet Master were not released. Subterraneans was basically a copy of DOOM. If you saw the demo, that’s as far as it got. It was not finished. This makes lots of sense, and it also explains why the disc’s credited Full Moon Digital Media imprint never released anything. Unlike many production companies and arthouses that briefly tried the CD-ROM as a new digital outlet, Full Moon never committed. In the interest of preservation, I have uploaded a copy of the Subterraneans CD-ROM to the Internet Archive for public download. Subterraneans runs on DOS; Origins of the Puppet Master requires at least Windows 3.1 and will behave poorly under certain video drivers. Hello, I have an unopened copy of this demo, I was wondering, if it had any value. I could never find the game mentioned online, until you posted this article. I haven’t heard of another copy, besides yours.